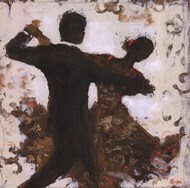 People have always found pleasure in dancing and the activity itself also used to strengthen the link between people, as well as them and divinity. Over the course of time, it took many forms and many were forgot them, but the best dances are still around to please the eye and the soul. 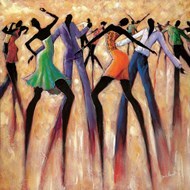 The African American Dance Prints at ChefDecor.com celebrate the beauty and diversity of a style that and has changed many times over the last couple of decades. 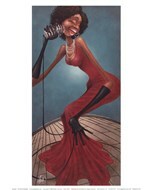 Those who are looking for African American Dance posters will be pleasantly surprised to discover that ChefDecor.com doesn’t focus exclusively on the modern genres. Some remarkable ones were created in the 19th century and there are African American Dance art prints focusing exclusively on these forgotten gems. They did a fine job at keeping the community together and perpetuated a rich tradition that could have otherwise been lost. History buffs and those who have a special interest in the African-American culture, will not be disappointed by what is available. 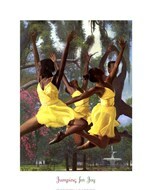 Even if you don’t know a great deal about the African American Dance prints that have a keen eye for beauty, you will find these images moving and inspiring. 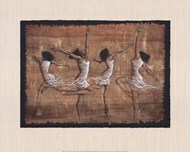 The connection between the people involved and the energy that dancing radiates makes the African American Dance wall art a great addition to any interior. 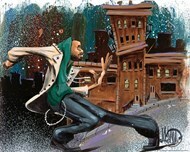 Youngsters will be probably more attracted by modern representations of the dance and there is some great artwork dedicated to those genres.